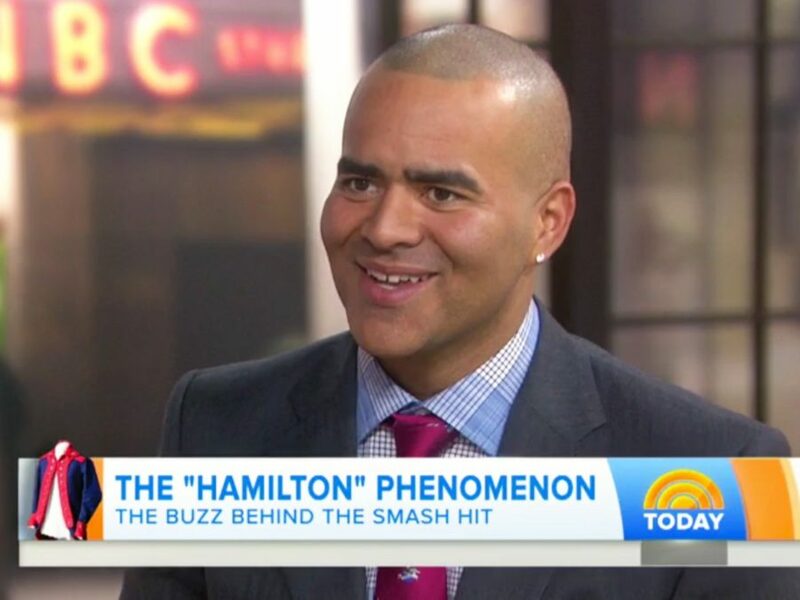 Hamilton standout Christopher Jackson stopped by 30 Rock on January 21, and fortunately, the Today Show hosts were not decked out in colonial garb. Broadway’s George Washington discussed being a part of the musical juggernaut—an experience he still calls “surreal.” What’s still surreal to us is Jackson’s account of how he first heard of Lin-Manuel Miranda’s whim to write a musical about Alexander Hamilton; they were literally on stage together in In the Heights. So if you catch Hamilton at the Richard Rodgers Theatre, sit super close and listen very carefully, you might just pick up what Lin has up his sleeve next.